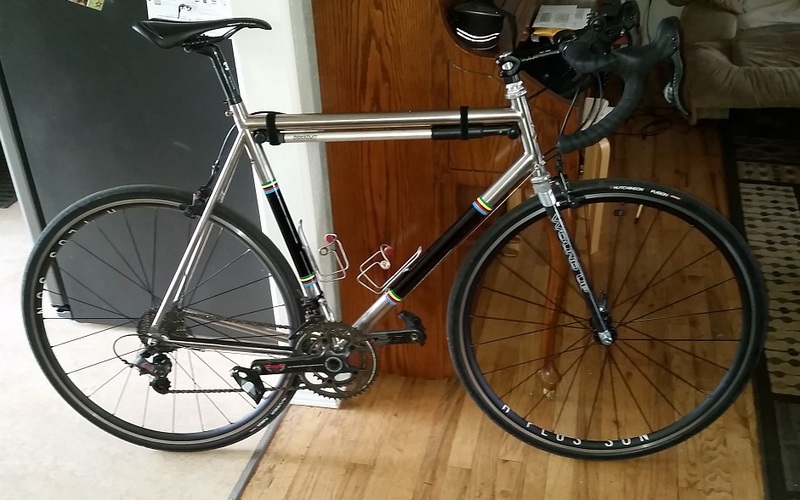 CYCLINGFORUM.COM -- View topic - Gripiest cabon paste compound? 3/21/19 2:22 PM Gripiest cabon paste compound? Dreaded seatpost slip on the Ti Super. The FSA paste that came with the post for the Conquest slowed it considerable like, but not abated. The Conquest did not need it. But only stuff I had on hand. Refuse to use more than 15nm on a carbon post. [20nm Alloy] Wonder if the non smooth surface of the Thomson Elite I have be a solution. So what is the best paste to use? Both AL and Carbon posts are moving, both ultra smooth surfaces though. I used more paste today [total surfaces wash with alcohol previous session]. Also swapped out the Ti bolt for a Steel one. After totally solvent cleaning all threads and fresh grease. And I used a washer under the steel bolt head also greased. The receiving thread is in the frame, no nut. It feels better torquing, zero thread stick up to 20nm. The Thomson is 27.4 but zero offset may not work, will try it. I've also had issues with carbon posts slipping in Ti frames and it's really annoying. Thompson posts do seem to be more slip resistant, but they're also really stiff. The carbon post in my hardtail is designed to flex, but it also slips slightly every time I ride it. With this particular frame, the issue is that the clamping section of the seat tube is too close to the TT and the seatstays, which prevents it from flexing enough to clamp the seatpost sufficiently. FWIW, I've been using Tacx carbon paste, but I have no idea if it's any better than what you're using. 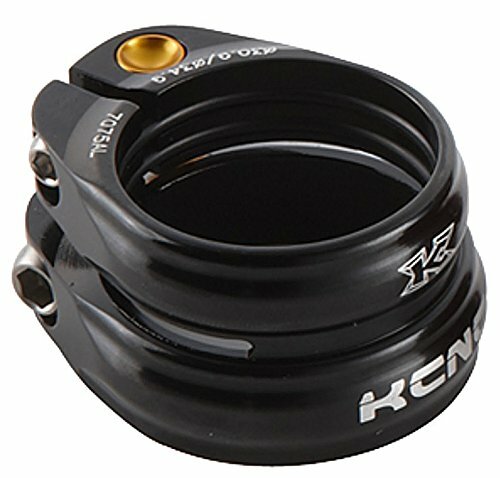 Does /why doesn't / someone make a secondary collar that goes on the seatpost and bottoms against the regular seatpostpost clamp that would act as a secondary stop? I have Finish line carbon paste. I kinda thought they were all the same just different names but I'm probably wrong as usual. Most of them rely on physical friction from particles, with the only difference being the size of the particles - just from the feel of rubbing between the fingers, for example, some Shimano paste that I have contains considerably larger particles than some paste (in an unbranded sachet) that was supplied with a set of Syntace carbon handlebars. Motorex Carbon Grease is unique for a number of reasons. Most notable is that it lacks the suspended particulates you'll find in typical carbon assembly paste. Where the others use these microspheres to increase the traction between the slick finishes of carbon parts, the Motorex formula relies on a special ability to increase friction under high pressure. The difference is chemical rather than physical, yet the result is the same. Dan, that exists. Not the prettiest thing. But in this case I have to take the welded on binder stuff [grind] off to use that set up. I can't get enough setback with my 27.4 Thomson Zero offset. I am having a conversation with the orig owner of the frame. He forgot he experienced it, and has offered to give me the post he last used a machinist knurled a section for. His first post he used was a 27.4 Record and had no slippage. The slot where the binder parts are welded onto the seat tune top, slot opening sides are parallel. Not squeezed toward the rear as I have seen before on Ti frames with built in binder etc. Something I looked at close when I bought it. Park works well for me. "Dan, that exists. Not the prettiest thing. But in this case I have to take the welded on binder stuff [grind] off to use that set up." Nothing could make a Ti Super look bad. When the ears stretched on my Litespeed, they lengthened the slot and drilled a circle at the bottom of the sjot. I took a seatpost reflector, ground off the tab with the actual reflector mount and opened the slot to get a good interference fit when tightened... This in addition to the previously mentioned steel bolt/greasing. Update FYI. Tom did not get to the Vinyl lettering before heading, or prepping to head to NAHBS. So black Panels are naked still. Even tried a local sign guy, went to his showroom, talked a good game. But lack of follow-up shows he does not want to be bothered I guess. I think Litespeed drilled the hole to prevent a stress riser and the slot propagating into a crack. After you said that I looked how I might do it. My slot is parallel. Being his 1st post was a 27.4 post with no slipage, and then the IRD started the issue for him and he got it knurled. I think it is just a variance and a touch loose for a 27.2 [or 27.1 a lot of post are]. I did see a line from the slot heading down and had a little panic attack. It was a tool slip surface mark that scotch brighted right out. Too tight for the shim I found in my drawer, so that was out. I did scuff the post below the drop stop and put a few coats of lacquer on it. I scraped some pumice loose from my back step and pressed it into the lacquer before it dried totally. I also scored the inside of the Seat-tube laterally with 120 grit, and lacquered that too Then pressed some more DIY pumice in there too. I won't torque it until next ride. The creak is most likely just the seatpost creaking in the seat tube. My Ti hardtail does it too, as do my Ti road frames, whenever the post is slipping. I seriously doubt that a plastic reflector collar is going to do anything to reduce seatpost slippage. You need something more substantial than that. 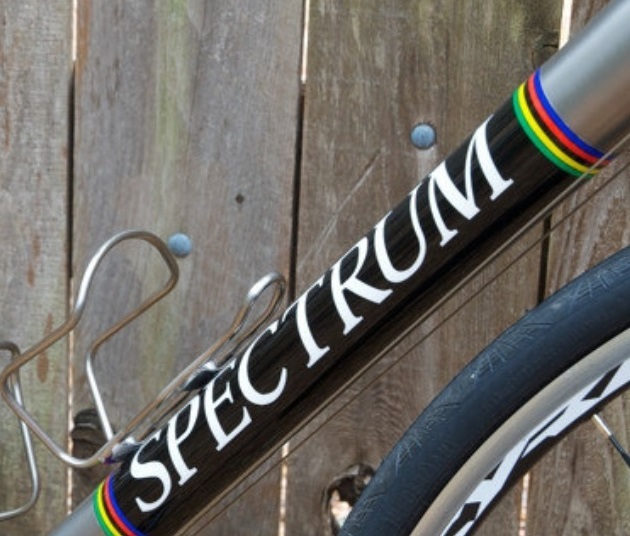 "creak is most likely just the seatpost creaking in the seat tube. Mine Ti hardtail does it too, as do my Ti road frames, whenever the post is slipping. " Which=what I said above. "Did not move, but started creaking 4 miles in. So it is wanting to move still I think." I've used the Carborundum "dust" found under my bench-grinder for years as an anti-slip additive to grease. Now I keep a pill jar handy with plenty of dust for just such situations. Anodizing is very slippery stuff so it's necessary to get some bite into it, though better on a mostly small/fine scale than bigger imo, especially as the gaps can be quite small such as to scrape nearly all of the bigger particles away. "Now I keep a pill jar handy with plenty of dust for just such situations"
I do so little metal stuff. But do have multiple jars with high janka woods projects. Both shavings and finer dust from the Spindle Sander piles.